With Facebook messenger you can do a lot things such as chat with your friends without necessarily login to your Facebook account with Facebook app, send emoticon, emoji, send files such as PDF, share videos, music, moment of expression and lot more. Meanwhile, send files on Android messenger is also one of the tricks of Facebook messenger. Also, you can leave a group conversation and start a secret conversation. Unlike early 2000 where the best way to send document to your friends is true email, fax, posting letters but today, you can send PDF files on messenger on your Android phone with just an internet connection. This post on how to send files on messenger on your Android was carried out on my PC running Android messenger without using bluestack app. However, if you are using Facebook messenger on your Android mobile you’ll not be able to send files such as PDF, document for now because the feature hasn’t been integrated into the latest Facebook Android messenger as at the time of writing this article. The only feature available are features to take a pix, share location, make a plan, share images but the feature of how to send files on messenger using your Android phone hasn’t been integrated but hopefully, the app next update will have this feature integrated. While this feature is available on Whatsapp, Facebook messenger users are still denied of this feature. However, here in this post I will share with you how to use Android messenger on your computer to send files to your friends on Facebook and also sharing another tip to send file on Facebook messenger on your PC browser. Firstly you need to install Android messenger on your computer to be able to use messenger to send files, videos, attachment and music to your friends on Facebook. 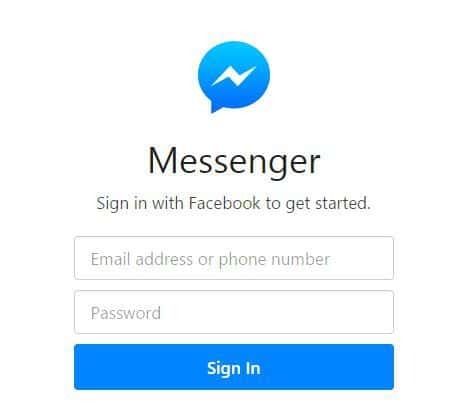 However, below is everything you need to do to be able to send files to your friends but you need to install Facebook messenger first on your computer. 1. Download and install Android Facebook messenger for PC (30mb) and login with your Facebook password and username. Note: Unzip the file and run as administration on your PC. 2. The Facebook messenger will pops up your last chat in messenger format as if you are on Android chatting with a friends but it won’t show head chat as it used to be on Android. Then click on the name of the friend you want to send files to on messenger and click on add files. 3. A new window will pops up, then navigate to the folder containing files that you want to send. Note that you can send zip files, PDF, attachment, documents, etc using this feature on messenger and click on open to start sending the selected files. Note: To send multiple files at a time press and hold Ctrl and select as many as possible files you want to send on your Facebook messenger to your friend. 4. Click on open to start sending files and you are done. Note that the time taken to send files from your computer to your friends on Facebook through Android messenger depends on your internet connection and volume of what you want to send. To save your data it’s of advise that you use Wi-Fi to send files on messenger to your friends. That is how to send files on messenger on your computer without login to Facebook messenger on your Android device. Please do share with us any difficulty you encountered when you try to use this method to send files on messenger to your Facebook friends on your laptop/PC computer so that we can be of help.